Your body will thank you. And so will your brain. Did your professors at college lectures or the speakers at a TED Talk or an online seminar sit at a desk or in a chair? No—they are always in motion. They’re walking back and forth. They’re waving their hands and writing on SMART Boards. They’re not doing this just so they can make eye contact with everybody in the audience. They’re doing it instinctively because their brains need them to move so they can get their message across most effectively. And they do this because movement stimulates brain activity, emotionally and intellectually. So if you want a brain boost, get up and get going. Anything that’s good for your heart is going to be good for your brain, too—more blood flow means more thinking power. Scientists used to think the brain stopped growing when we were around age four, but fortunately we now know that just isn’t true. Your brain cells, or neurons, are constantly being formed, even when you’re past the age of retirement. This is called neuroplasticity or neurogenesis. “All new learning creates new synapses in your brain,” Michael Gonzalez-Wallace, a professional trainer and author of Super Body Super Brain, a mind/body exercise system particularly designed to stimulate brain activity, told me after class one day. This is why one of my favorite reasons to exercise is brain growth. In the same way that learning a new language long after you’re out of school wakes up a dormant part of your brain, exercise stimulates the release of growth factors called brain-derived neurotropic factor (BDNF) that increase neurogenesis. BDNF is what allows your brain to grow new connections between neurons—and the more connections we can form, the better “shape” our brains are in. This is an extremely important factor in keeping your memory strong—especially as exercise stimulates activity in the temporal lobe, which is responsible for storing sensory memories—and to help prevent degenerative brain diseases like Alzheimer’s disease. For even more brain power, try doing exercises or a sport that constantly challenges your thinking as well as your moving; any kind of dance, for example, where you have to learn new sequences and remember steps, is a fantastic brain stimulator. So are racquet sports, where you’re always trying to think of where to hit the ball even as you’re hitting it. Mixing it up is always a good idea. Intersperse your runs or lap swimming or machines at the gym with a Zumba or yoga class. Your body will thank you. So will your brain. From TWO TURNS FROM ZERO by Stacey Griffith, published by William Morrow. Copyright © 2017 by Stacey Griffith. Reprinted courtesy of HarperCollinsPublishers. 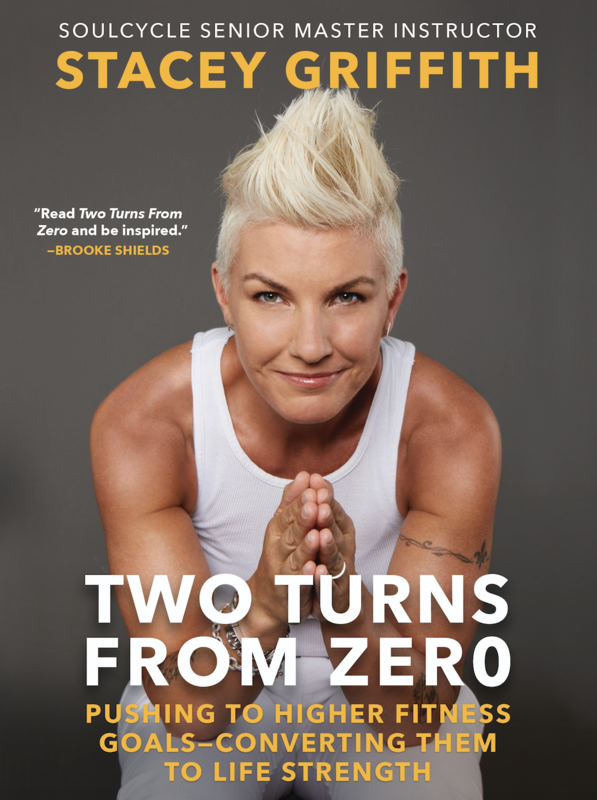 Author Two Turns From Zero; Contributor TIME.com; SOULCYCLE Founding Senior Master Instructor; AMEX Platinum Collective.